Apple is all set to launch the new iPhones by the end of next month if the reports are to be believed. As always, a question that every iPhone fan, industry watchers and analysts are waiting to get an answer to is the new iPhone cost. But, as always, Apple hasn’t revealed anything, so we will have to rely on rumors and leaks for now. According to an industry analysis by TrendForce, the pricing of the 6.1-inch iPhone would be similar to the 4.7-inch iPhone 8, a welcome change for the users as they would get a bigger screen size but at the same cost. The market intelligence firm predicts that the new iPhone cost could be $699 or $749. “Apple is bound to adjust the prices of this model to meet the market expectation and to further expand its market share,” TrendForce said. Further, TrendForce notes that Apple would have to lower its cost structure to overcome the competition from Android counterparts. “Regarding the prices, the rumors believe that Apple is bound to adjust its pricing strategies, influenced by Chinese brands that have successfully expanded their market shares with products that offer high performances at affordable prices,” the company said in a press release. Talking of the new iPhone cost for other models, rumors are that the high-end version of the iPhone X at 5.8-inches would cost around $899 to $949, while the 6.5-inch iPhone X Plus would be priced at $999. It is believed that Apple would not exceed a new iPhone cost beyond $1000, taking a lesson from the less-than-expected sales of the iPhone X. Earlier, a report from Bloomberg claimed that the company sold 41.3 million iPhones during its third quarter, garnering revenue of $29.9 billion. The high revenue was earned on the back of the higher average selling price of $724, partly thanks to the $999 iPhone X. A new video has been posted claiming to show the real upcoming iPhones. The YouTube video from DetroitBORG shows the new dummy iPhone devices obtained by Sonny Dickson. The video refers the yet to be launched devices as iPhone 9, iPhone X and iPhone X Plus. Although the video does not offer anything new in terms of features and specs, it hints that the new iPhone would feature a notched design to house the Face ID. Also, the LCD iPhone 9 is shown to have a single-lens camera at the rear, compared to a dual camera system for the iPhone X models. Despite a single-lens camera, reports are that the cheapest iPhone would also be the most interesting one. Noteworthy features of the 6.1-inch LCD iPhone would be the FaceID, 3GB RAM and dual-SIM. If the reports are to be believed, the 6.1-inch iPhone would be the most popular when it releases with a production share of 50% among all new iPhones. According to the Japanese website Macotakara, Apple’s iPhone 9 or the “budget iPhone X” would use a radical display technology known as “Full Active LCD.” This would let the iPhone have even thinner bezels than the second-generation iPhone X and iPhone X Plus. A report from 9to5Mac notes that the Full Active LCD means that bezels could be as thin as 0.5mm compared to 1 mm in the current iPhone X. Separately, there are reports that Apple might be planning to launch a stylus-type device along with the new iPhones. Taiwanese publication Economic Daily News claims that Apple’s 2018 OLED iPhones would ship with the Apple Pencil. The site, which claims to have gotten the information from the “industry insiders,” says the second-gen iPhone X and 6.5-inch iPhone X Plus would be compatible with the Apple Pencil, but not the 6.1-inch LCD model. The upgraded iPhone X Plus would be focused toward business users, and could support dual-SIM. Also, there reports that the dual-SIM phone would be limited to specific markets, like India and China. TrendForce notes that the 2018 iPhone X and X Plus would come in three storage capacities – 64GB, 256GB and 512GB. The 6.5-inch AMOLED device would come with 4GB RAM. Back at the time of the iPhone X, Apple struggled with the shipments. 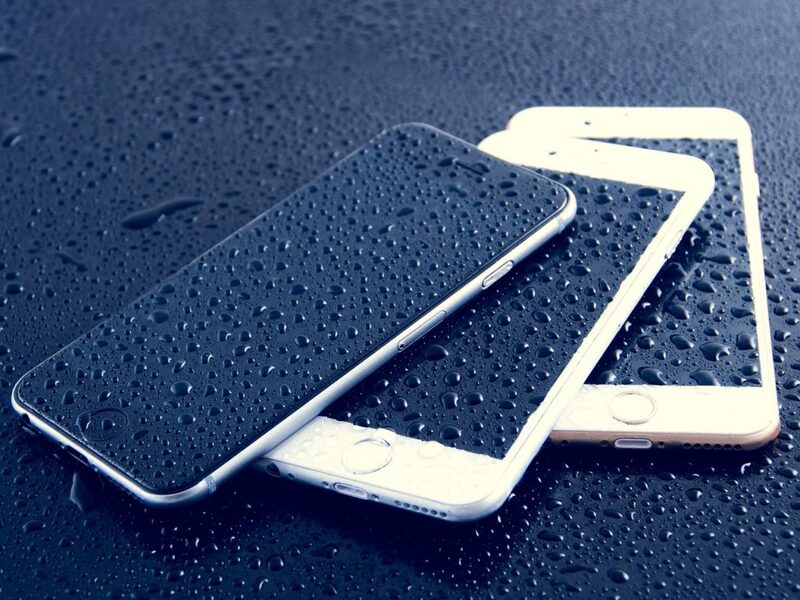 Taking a cue from the problem, it is expected that the mass production of the 6.1-inch LCD model would start in mid-September, whereas the mass production for the AMOLED display iPhones has started already.